Dubai, a global megacity is known for its elaborate & extravagant projects and attractions! 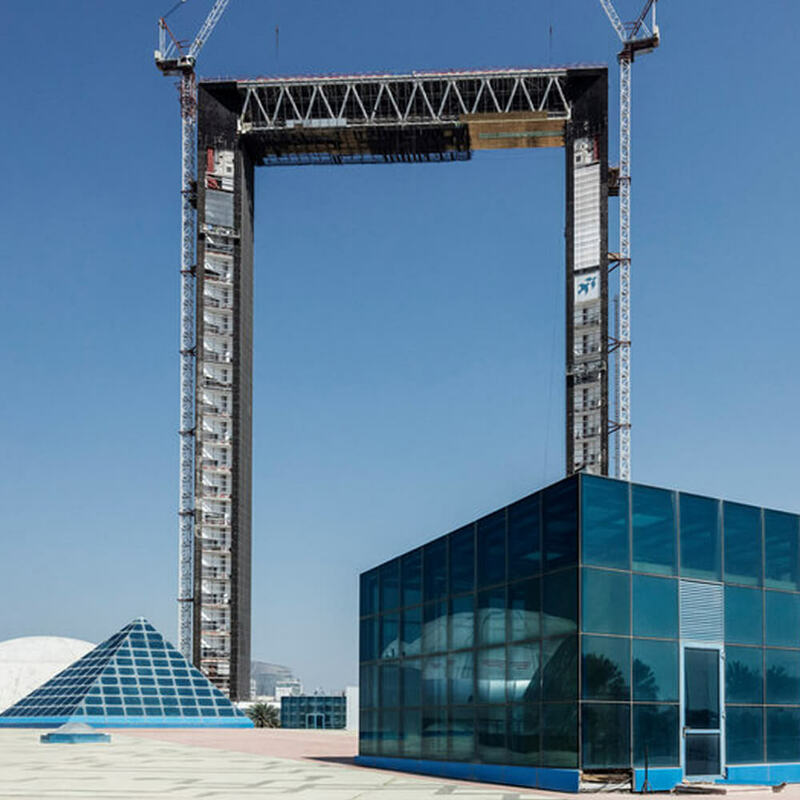 A new addition to Dubai’s already impressive skyline is the Dubai Frame, the “Biggest Picture Frame on the Planet”. 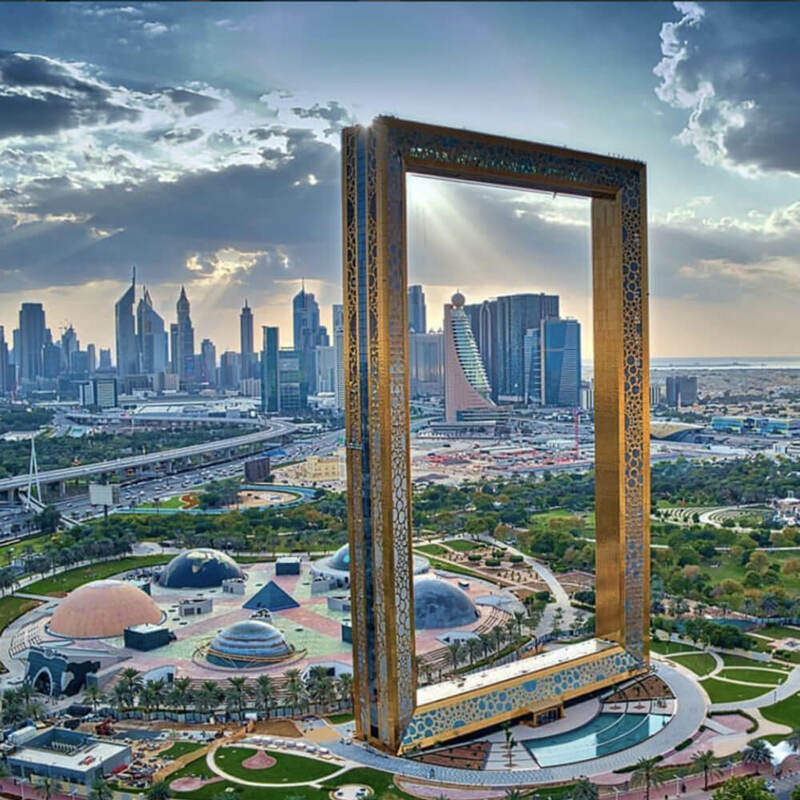 The Zabeel Park based Dubai Frame opened in January 2018 & is deemed as a mammoth achievement of engineering. 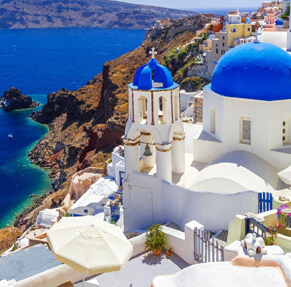 Enrich your experience with the magnificent architecture of Middle East. To know more about this iconic metropolis, feel free to get in touch with Dubai tourism information. 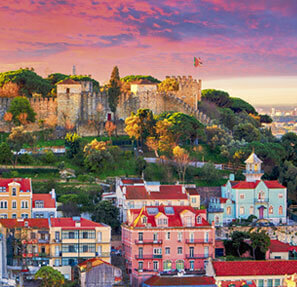 This iconic landmark stands 150- meters high & 105 meters wide. 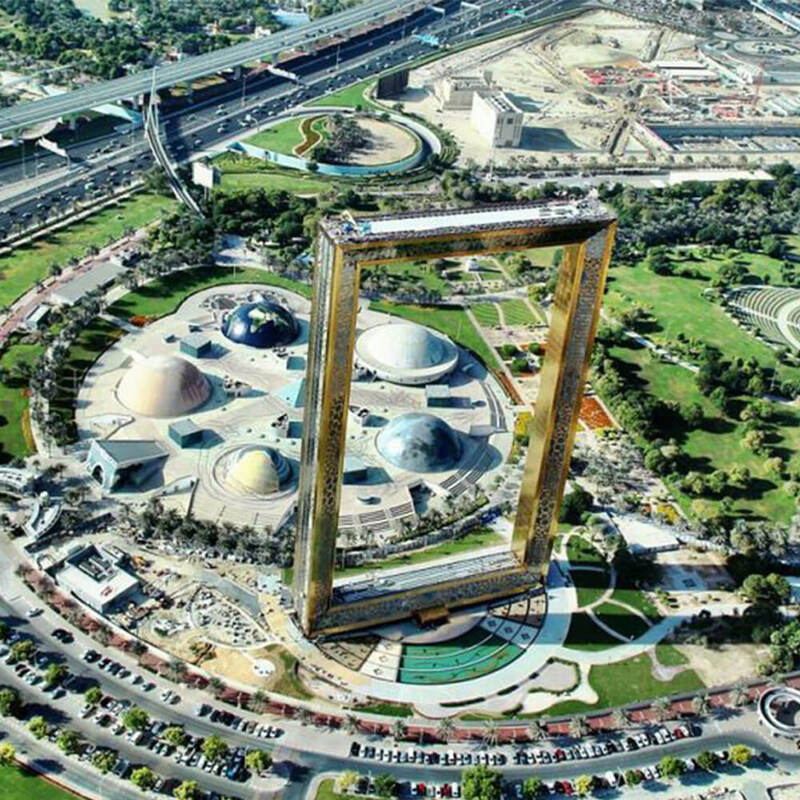 The Dubai Frame is constructed out of glass, steel aluminum & reinforced concrete. 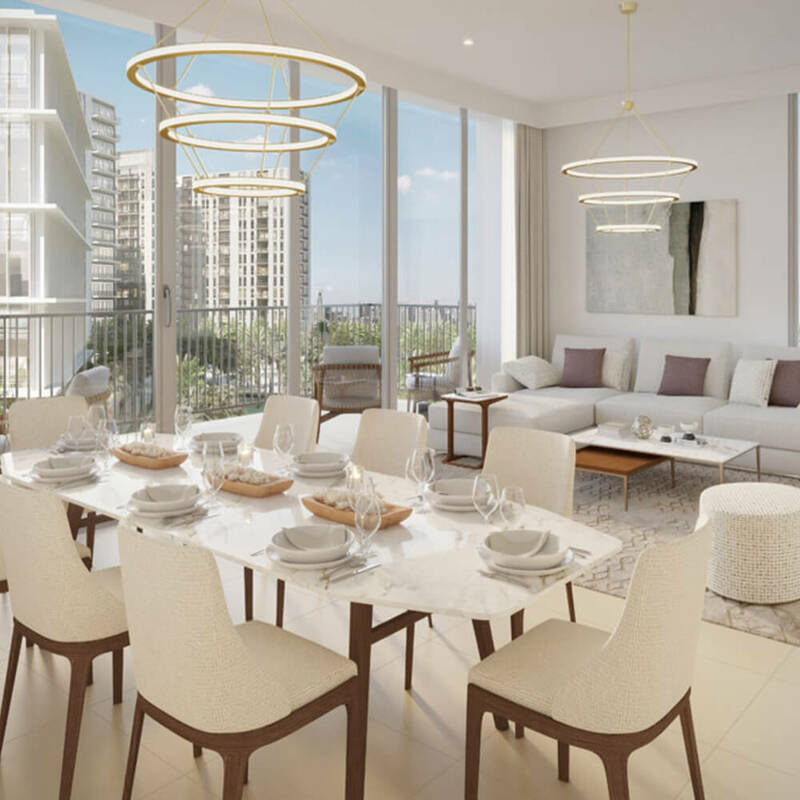 The placement of this wonder is on the boundary of old and modern Dubai marking it as a stupendous wonder that stands tall as a beacon of old and new parts of the city. 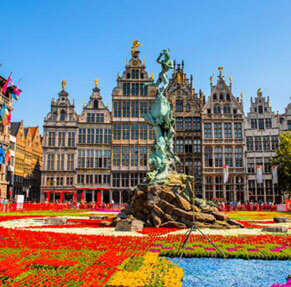 A sweeping panoramic view: With the height of 150 m, the eminent structure provides visitors a 360-degree view of every aspect of the city. 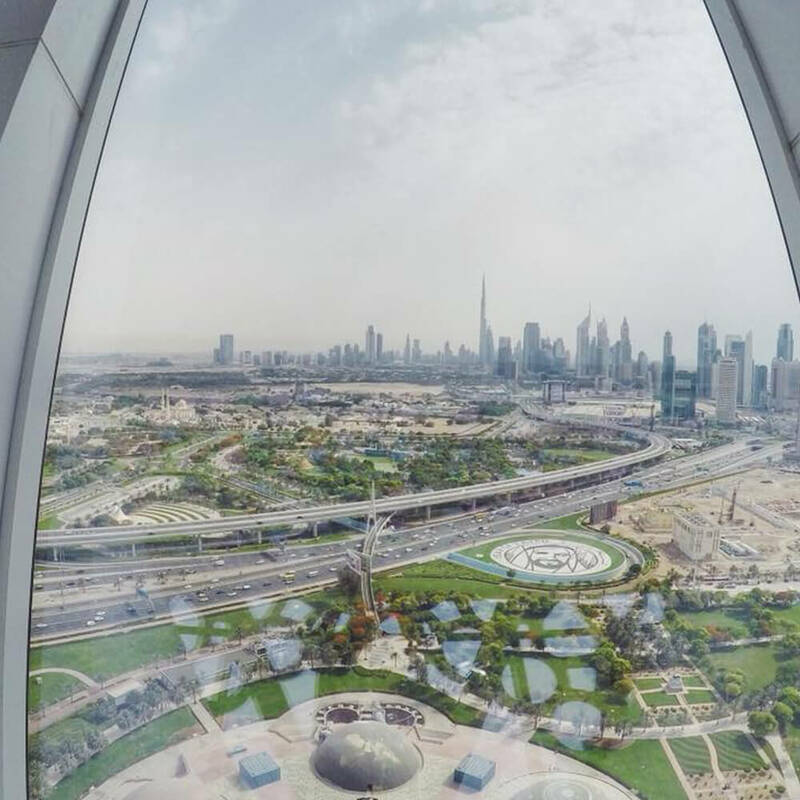 From the sparkling waters of Dubai Gulf to high rises of Dubai Marina & vast dunes of Dubai deserts, relish the entirety of Dubai from the 360 degree vantage point of The Dubai frame. 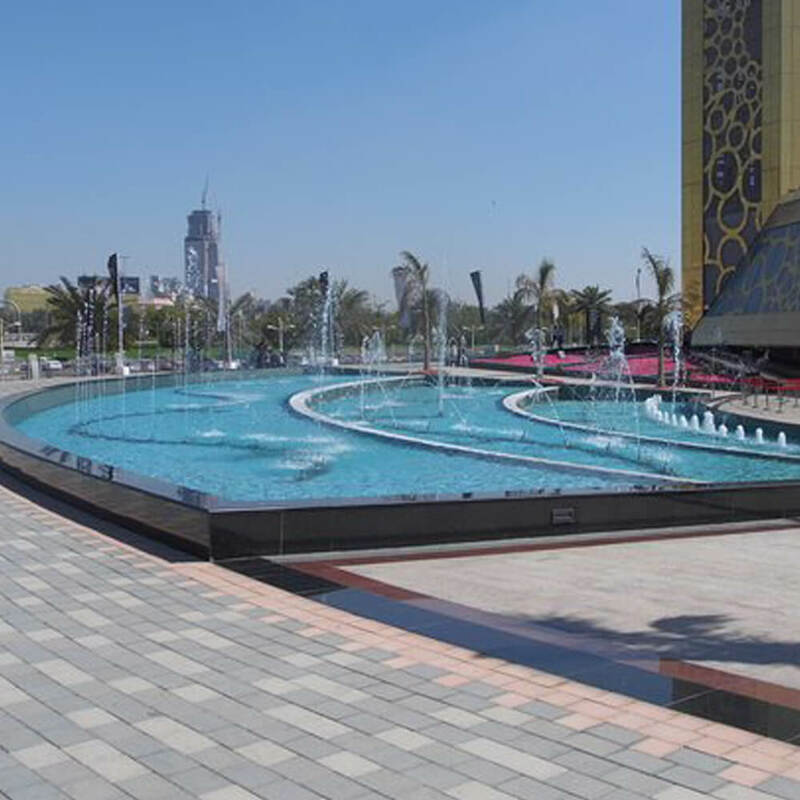 It offers the visitors a chance to see the past, glorious present and ambitious future of Dubai. Fasten your plans to visit the elegant, inspiring and geometrically adventurous hub & cherish the unforgettable moments with Dubai express visa. 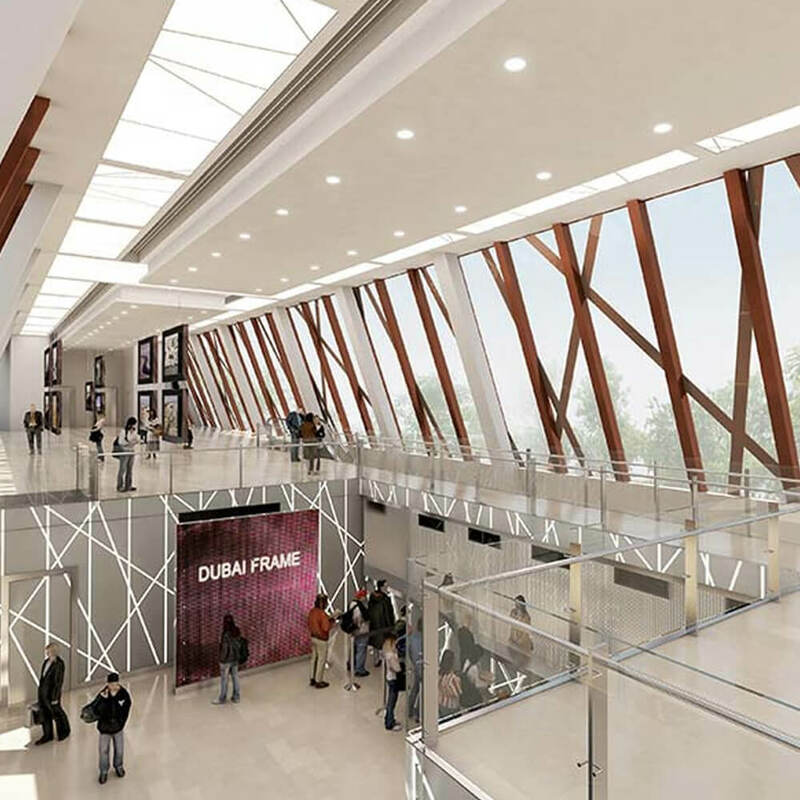 Glass floor walkway: The Dubai frame features 25 square meter glass floored walkway right at the centre of the bridge. 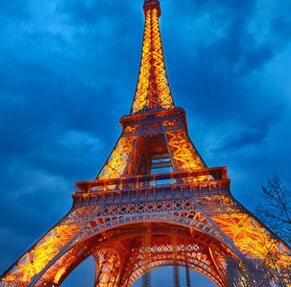 The 93 m long glass bride connects the two parallel vertical towers to create the picture frame shape. Stepping on the crystal clear glass gives an exhilarating feel of walking out in the air. 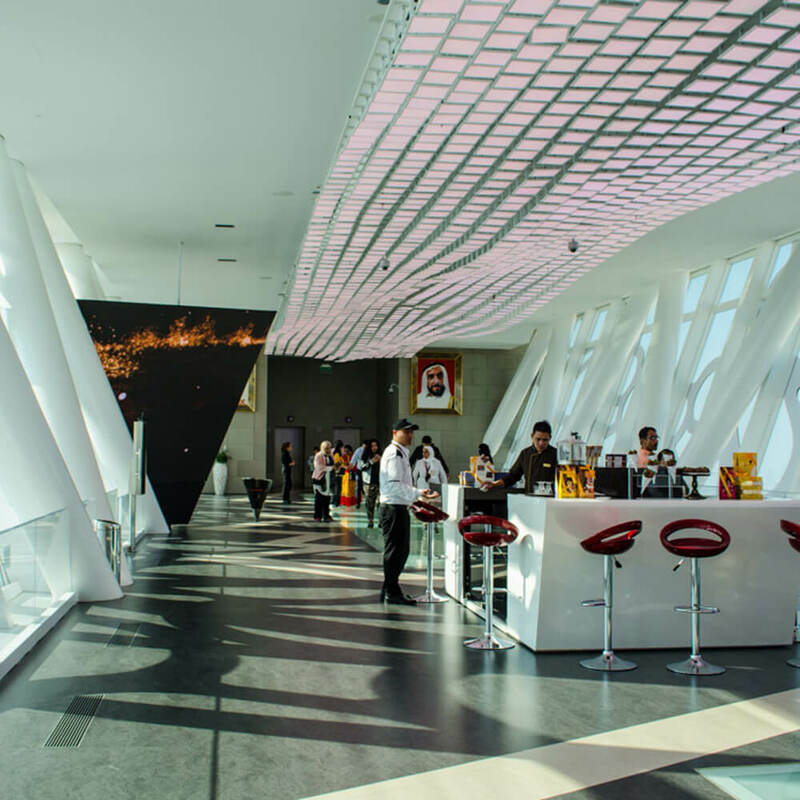 The high quality materials used to construct the crystal clear glass makes it safe to walk on the glass walkway. Happiness is having the family close-knit to this fascinating wonders of Middle East. Relish the moments with your loved ones by paying Dubai visa fees for 14 days and heading to the astonishing metropolis of Middle East. 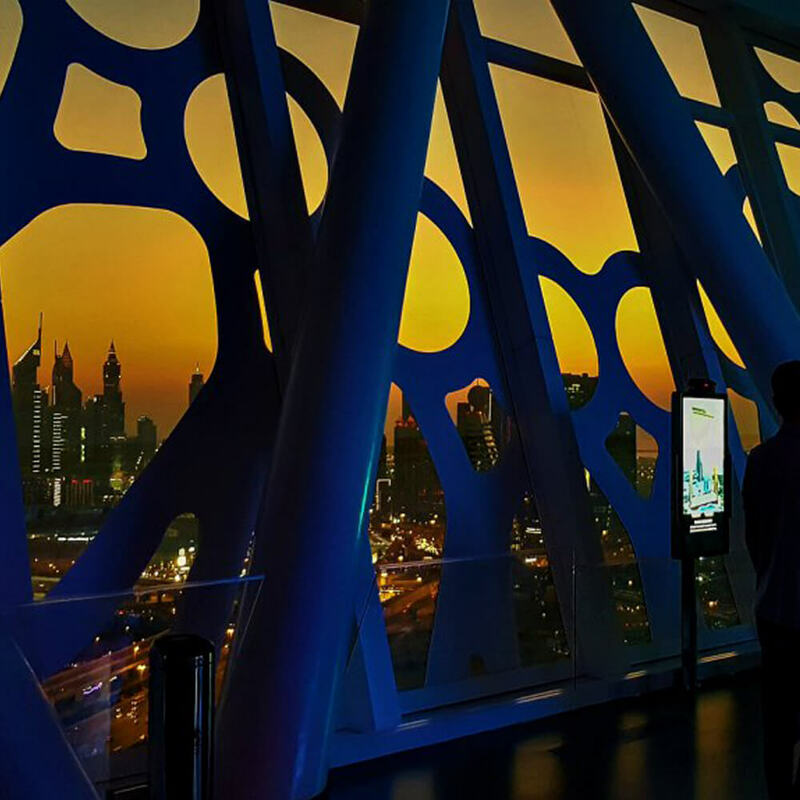 Spectacular Audio and Visual experience: The Dubai Frame’s own immersive gallery on the mezzanine level amazes gusts with awe-inspiring audio & visual presentations. The curated scents and mists for an authentic retelling of the city’s origins is an amazing way to mesmerize the visitors with virtual reality display of Dubai’s continued evolution predictions of the city’s future growth. To experience the truly extraordinary in this remarkable amusement apply for Dubai Visa Online now.